Or as the locals like to call it, “Spring fest”. 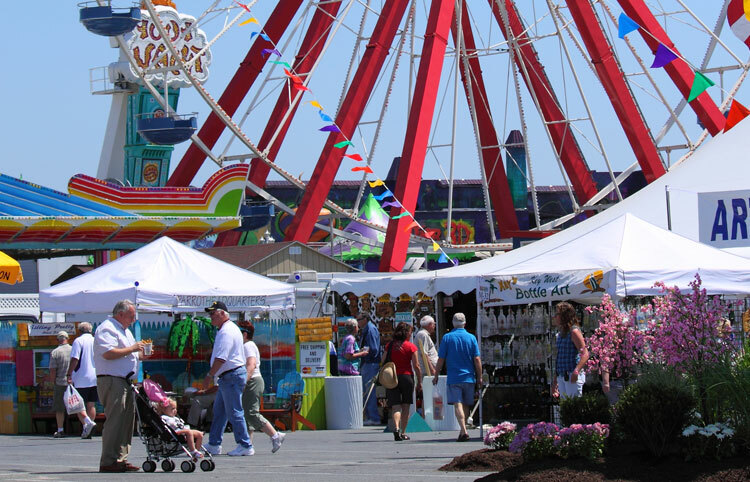 The multicolored banners spanning from Salisbury to Ocean City are a constant reminder that Springfest is coming “4 day event” “May 2-5” and it’s time to celebrate. This reminder is convenient because with the bipolar weather, one often forgets Spring is here. This Springfest, forgive Spring for being such a tease. Indulge the senses with salty sea air and salty treats. There will be many a vendor to explore. Refresh those memories of Summer in OC and park on some random street to walk (or skate!!) to the inlet, where the event will be held. Challenge a friend to race up the rock climbing wall, petrify your child and send them into the moon bounce, eat everything and then get in the moon bounce yourself! Spring is about new experiences and starting anew. Spring has already made a mistake by not being Summer, and Spring is not over, try something new!